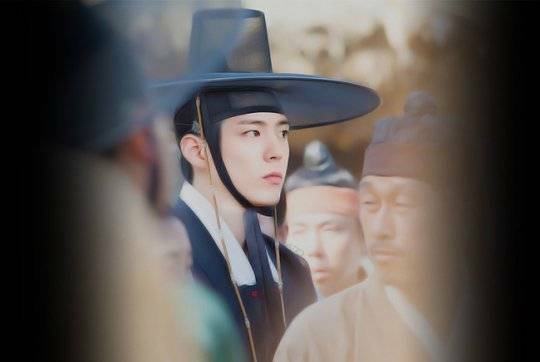 'Moonlight Drawn by Clouds' is a palace romance inspired by the genius Crown Prince Hyomyeong in the later era of Joseon, who loved etiquette and music. 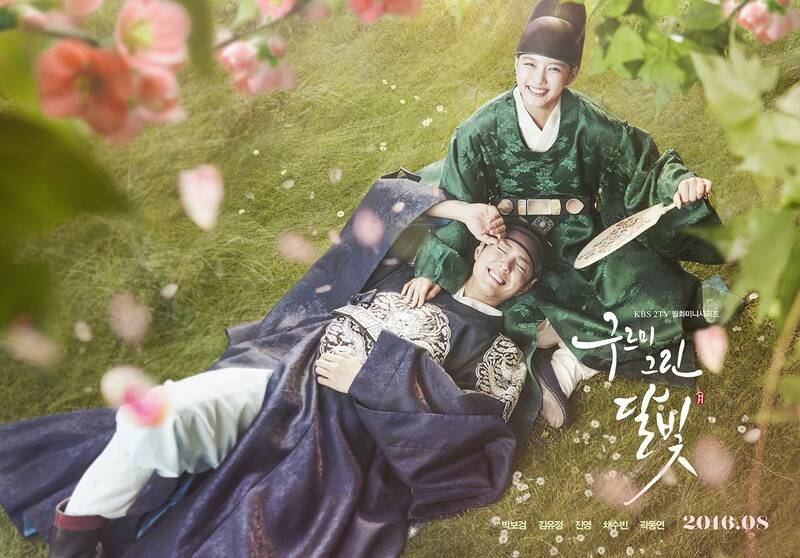 The drama will tell the coming-of-age story of youthful romance in Joseon era which was unwritten in the history. [Just out on DVD] Korean Drama "Moonlight Drawn by Clouds"
Song Hye-kyo to Come Back With Park Bo-gum in "Encounter"
[Upcoming DVD Release] Korean Drama "Moonlight Drawn by Clouds"
Song Hye-kyo and Park Bo-gum to Star in "Encounter"
Tae Hang-ho to star in "The Sound of Your Heart Reboot"
[Just out on Blu-ray and DVD Limited Editions] Korean drama "Moonlight Drawn by Clouds"
Choi Dae-chul, ""My Gap-soon" should have been extended for 2 more years"
[Upcoming Blu-ray and DVD Release] Korean drama "Moonlight Drawn by Clouds"
Park Bo-gum to MC at "2016 KBS Gayo Festival" and "2016 KBS Drama Awards"
[Interview] "Moonlight Drawn by Clouds" Kim Yoo-jung, "I love Ra-on"
Kim Yoo-jung, "Park Bo-gum is a loving person"
The ending is out for "Moonlight Drawn by Clouds"
[Spoiler] "Moonlight Drawn by Clouds" Park Bo-gum worries about Kim Yoo-jung, "Are you alright?" 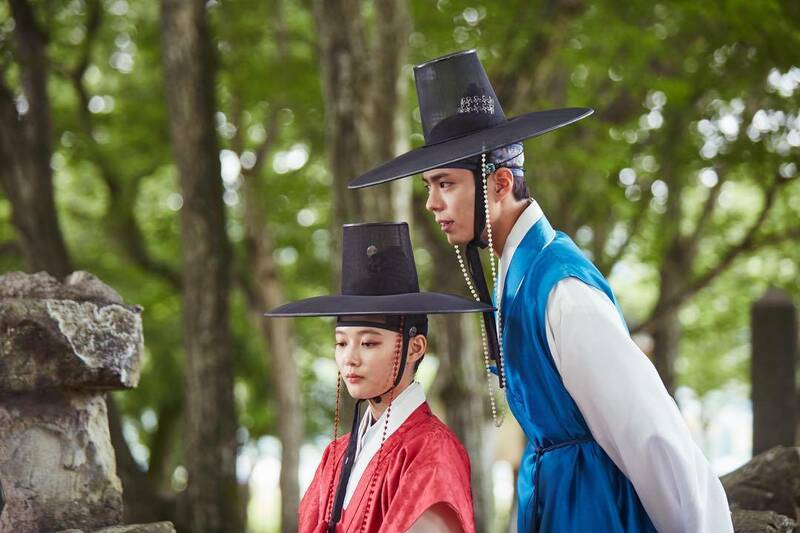 "Moonlight Drawn by Clouds" in the lead, "Woman with a Suitcase" VS "Scarlet Heart: Ryeo"
[Spoiler] "Moonlight Drawn by Clouds" Will Kim Yoo-jung leave Park Bo-gum? [Spoiler] 'Moonlight Drawn by Clouds' Jin Young to Park Bo-gum: "Kim Yoo-jung, my woman"
Is Kim Yoo-jung wearing too much make-up in "Moonlight Drawn by Clouds"? 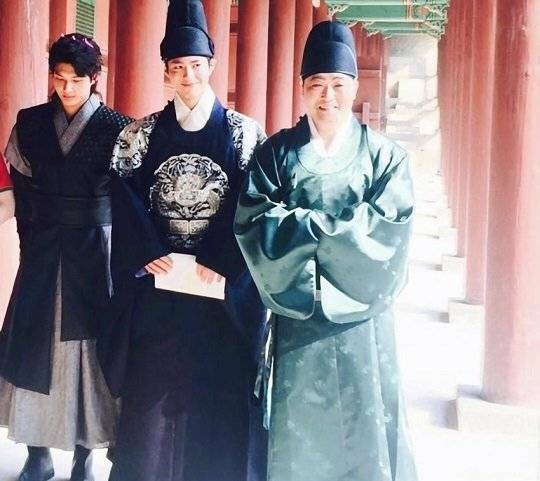 'Moonlight Drawn by Clouds' Park Bo-gum: "Curious about Skinship with Kim Yoo-jung? 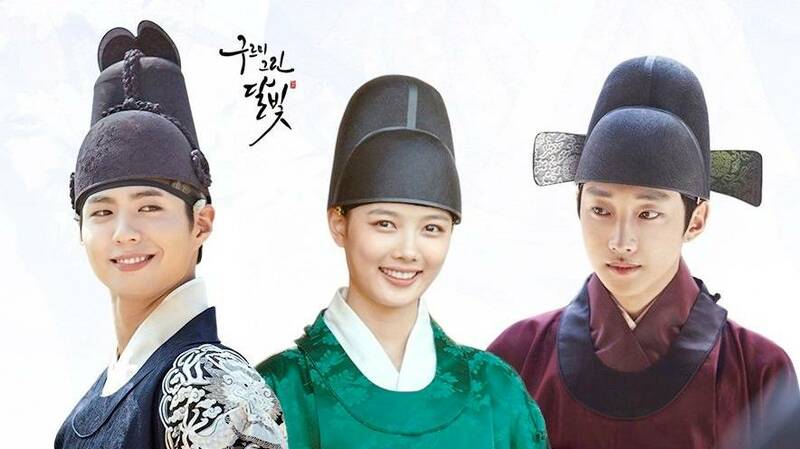 Please watch the drama"
[Photos] Added new character posters, stills and on-the-set images for the upcoming Korean drama "Moonlight Drawn by Clouds"
Yoon Si-yoon and Soo Ae to possibly star in "The Man In My House"
Kang Min-hyuk in dating rumor with actress Jung Hye-sung, who is she? Kim Yoo-jung, "Do you want to go on a spring trip?" 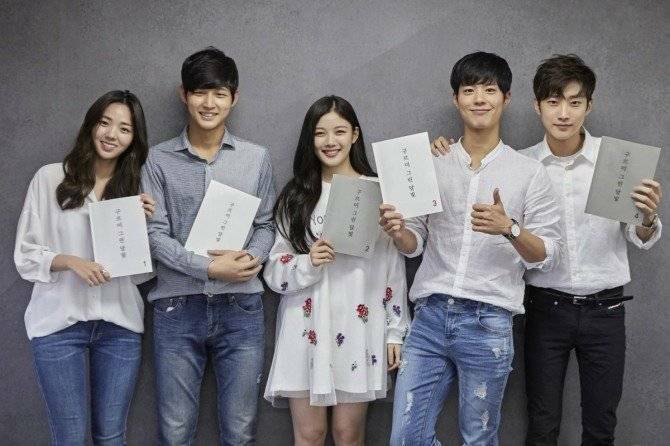 Who will be the male lead in 'Descendants of the Sun' writer Kim Eun-sook's next drama? 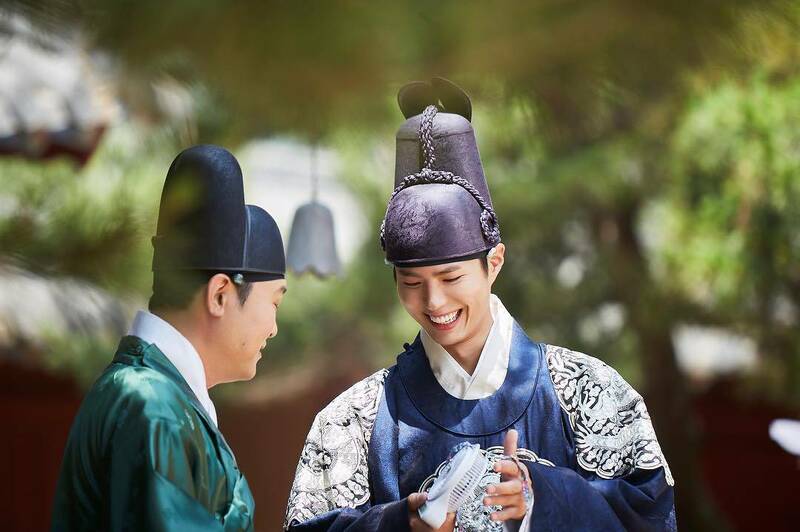 Upcoming Korean drama "Moonlight Drawn by Clouds"
View all 221 pictures for "Moonlight Drawn by Clouds"